Pick the country that you wish to play for. 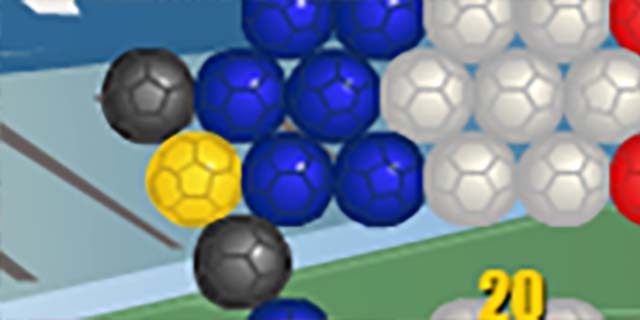 In this zuma style soccer game, you will be kicking the colored balls to make matches of three or more same colored balls to remove them from the screen earning you as many points as possible. 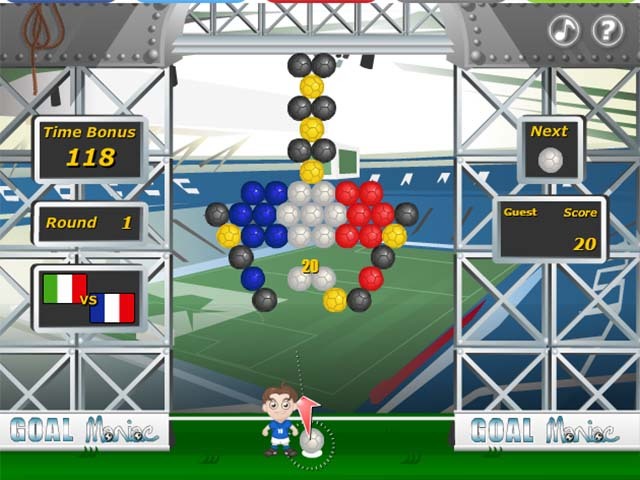 Try to clear the whole area to earn time bonuses. Use the mouse to aim and kick. 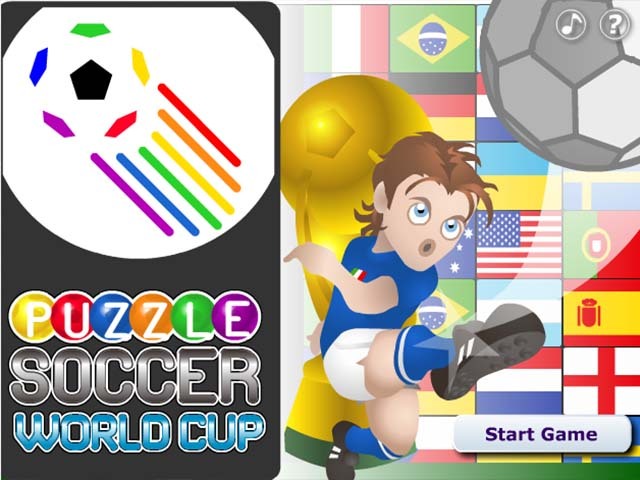 You are on for great fun playing this game.